When I began researching the life of King Richard III for my upcoming novel By Loyalty Bound, I was very saddened to learn that, rather than an elaborate tomb in a cathedral, Richard had no marked resting place and that no one was even sure where his body was buried. The best guess was ‘under a car park in Leicester’ which didn’t seem a fitting place for a king, especially one I had become very fond of. When I read last summer that there were plans for an archaeological dig to look for his remains, but that there was a £10,000 shortfall in the funding and donations were being solicited, I had mixed feelings. I was excited to think that this investigation might go ahead, but I wondered how genuine this appeal was. However, further investigations revealed that the driving force behind the proposed dig was Philippa Langley. I’d come across her name before whilst researching Richard III and I knew that she was a keen advocate on his behalf and a member of the Richard III Society. I also knew that she had written a screenplay about the king’s life and had sent it to actor Richard Armitage, who is also interested in the history and because he was born on the anniversary of the battle of Bosworth is actually named for the late king! Further inquiries revealed that the University of Leicester was to undertake the dig and the scientific investigations, so I was reassured and hopeful that the dig would take place. It was with huge excitement that I read in August that the diggers had moved onto the Greyfriars car park in Leicester and that a trench had been dug. Richard Buckley, the director of archaeology at the university, said that ‘finding the remains of the king was a long shot’. In fact I think there was mention of hats being eaten, but, although it was kept quiet at the time, it turns out that the team found a skeleton almost immediately. News was released to the press that the dig had found walls belonging to the medieval Greyfriars and then that the remains of a medieval garden had been found, but it wasn’t until the press conference on the morning of the 12th September that the information about the discovery of human remains was made public. In death, as well as in life, Richard draws controversy and there has already been huge discussion about what will happen to his remains, with calls for burials in Westminster, York and Leicester – although I think it most likely that he will be re-interred in Leicester Cathedral. At least he will no longer be ‘lost’ under a car park and I look forward to visiting his resting place and paying my respects to the man who inspired me to research all the details of the Wars of the Roses. 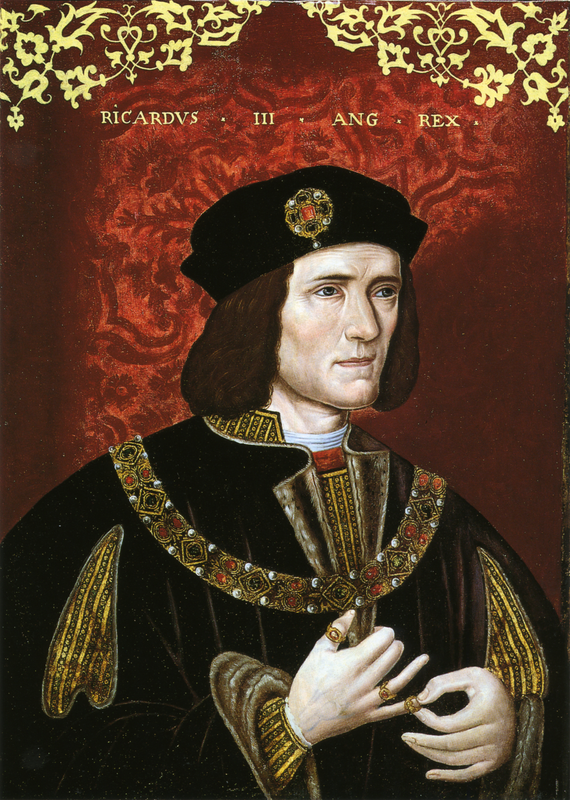 Many questions have been asked about Richard III. Was he a good king? Was he a child murderer? Finding his body cannot answer them, but it may promote a debate based on factual evidence rather than hearsay, although opinions will continue to vary and the debates will be fierce. Another question that remains unanswered is the identity of the mother of his two illegitimate children, John and Katherine. A woman named Katherine Haute is sometimes suggested, as she received an annuity from him. But in my novel By Loyalty Bound, I suggest another possibility – Anne Harrington. I’ll be writing more about my reasons for that and the research behind it another day. In the meantime, I’ll be spending Monday listening, watching and learning about the discoveries made in Leicester. What has happened to the female skeleton found at the same time as Richard’s? Next Why did Shakespeare portray Richard III as a villain?